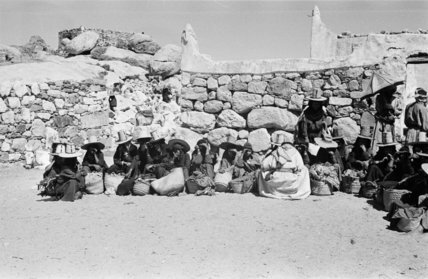 View of a group of women sitting in front of the stone building at Suq al Sabt market below Jabal Mana'. The women have large baskets with them. Most of them are wearing tall, wide-brimmed straw hats. One is holding an umbrella.